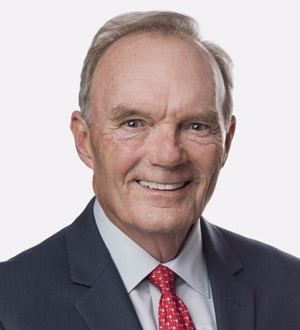 As a certified arbitrator and mediator on construction disputes, Frank Elmore applies significant experience and insight to the issues facing clients. Building on proven relationships, Frank works to ensure efficient resolution to client needs. In addition to serving as a moderator or arbitrator, Frank has served as a lecturer, and author on construction and surety industry topics for a multitude of professional organizations including the American Bar Association Forum on the Construction Industry, Carolinas Associated General Contractors (CAGC), the National Bond Claims Association, and the South Carolina Bar Association. Frank is an advocate for his clients and as a result of his nearly 40 years of construction litigation experience has become a key player in regional construction law. He has been recognized for inclusion in Greenville Legal Elite, The Best Lawyers in America as well as South Carolina Super Lawyers and maintains an "AV" preeminent rating by Martindale-Hubbell. He is also a Fellow of the Litigation Counsel of America and of the American College of Construction Lawyers, an exclusive group of less than 200 attorneys throughout North America. Actively involved as a Master in the Upstate Chapter of the American Inns of Court, Frank has been distinguished by peers for his experience and knowledge. Frank is a graduate of Francis Marion University and the University of South Carolina School of Law.